LOS ANGELES—Avid outdoorsman, firefighter, and paramedic, Michael Herdman has been missing in the Los Padres National Forest in California’s Ventura County since Friday, June 13. 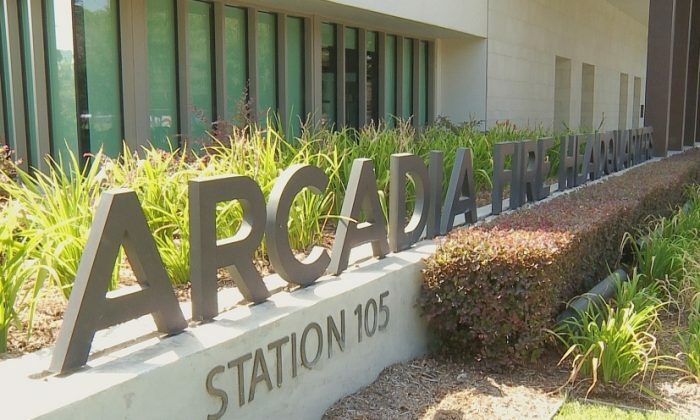 Beth Stogner, public information officer for the city of Arcadia Fire Department, knew Herdman well. “His time off from work here at the fire department was largely spent in the outdoors, an avid biker, surfer, and general outdoorsman,” she said. Herdman went backpacking with his friend Tyler Byars, also a firefighter and paramedic, on June 12. When Herdman’s dog ran away from the campsite the following day, Herdman ran after him. Byars also followed the pair. Barefoot and dressed in a T-shirt and shorts when Byars last saw him, Herdman has not been seen since. Byars resumed his search for Herdman the following morning, but soon realized he needed help. A couple of hikers found him and finally showed him the way back to the trailhead Sunday evening, June 15. An official search began soon after, including helicopters, drones, and dozens of rescue personnel. Searchers from a number of local, state, and federal agencies, including the Department of Homeland Security, combed a 50-square-mile area. Five people have been injured during the search, one bitten by a rattlesnake. After an intensive search last weekend, Herdman’s dog Duke was found Sunday near the spot where Herdman and Byars had initially parked their vehicles. The dog was dehydrated, but in good spirits, and seemed happy to be reunited with Herdman’s wife and daughter. On Monday, six firefighters from the Arcadia Fire Department hiked the hills of Los Padres National Forest on their day off, still looking for their friend. Stogner said Herdman had hiked in that area a number of times and had received training on search and rescue, and a number of other skills that would prove helpful under extreme circumstances.